Fourplay is a mixology heaven where menu's go straight to hell. 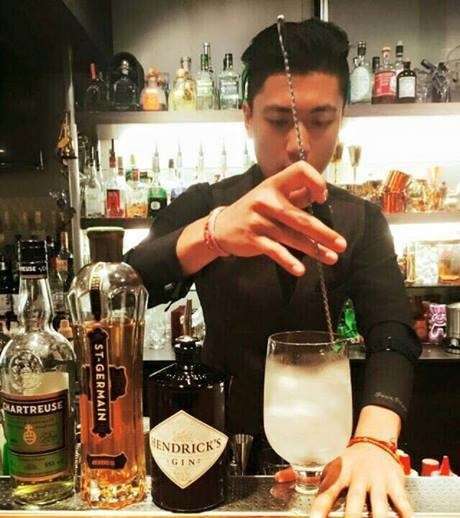 That's right, just like Ounce, another unique Taipei cocktail bar, the slick bartenders at esteemed Daan lounge bar and gastropub Fourplay conjure up and concoct cocktails based on whatever tickles your tastebuds. Opened by four ( the "four" in Fourplay) bartenders in 2011, former colleagues who made a pact that they would open a bar within 7 years, the bar has quickly become renowned for its carefree and unencumbered personality and aesthetically stunning cocktails that are simply out of this world. It's really easy to surmise where the "play" part comes from, just step into their doors and feast your eyes on what visions of delectable alcohol creations are bestowed upon you.Expect one-of-a-kind cocktails and shots with names like Peanut Butter, Marijuana (absinthe) and Smoky Rose and ingredients that range from Absinthe to local favorite ( and acquired taste) Kaoliang.Prices range from 250 to 450nt per customised drink.